Hi, I am Juan Fuensalida. I am Math Teacher and I am currently taking a career at UNT in order to get a degree as a university programmer. 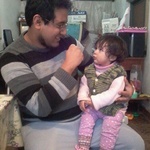 I would like to get a promotion as web...Read moreHi, I am Juan Fuensalida. I am Math Teacher and I am currently taking a career at UNT in order to get a degree as a university programmer. I would like to get a promotion as web developer.